This summer, NASA rolled out a new program called Innovative Lunar Demonstrations and Data (ILDD). As we've mentioned here a few times now, we're very big fans of this program: a just over US$30 million, it's relatively small value by NASA standards, but is going to have a huge impact. It was and is a clear and bold way for NASA to assert its leadership in a new era of lunar exploration. In October, NASA down-selected from a dozen or so proposals to select six companies as participants in the program. 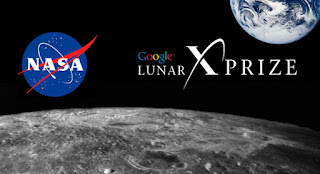 Although ILDD has no official relationship with the Google Lunar X PRIZE, it is perhaps not surprising that all six winning proposals--which were selected based on the likelihood that the submitting team could provide to NASA highly useful data about the Moon and about lunar missions--were Google Lunar X PRIZE teams. Those six (Astrobotic, Next Giant Leap (through its team member Draper Labs), FREDNET, Omega Envoy (through its parent organization Earthrise Space), the Rocket City Space Pioneers (through their team member Dynetics), and Moon Express) have been diligently working away since their selection. Indeed, those six teams have each already passed two milestones (using that term colloquially). Just three weeks after being selected, each of the six had to submit a "System Definition Review" (SDR). This was essentially a very thorough description of each team's lunar missions--both their hardware and the concept of operations. They had to talk about their launch site operations, launch vehicle integration, communication systems, verification and validation strategies, and all of their vehicle's major subsystems. Additionally, they had to flag their top ten risks and address a mitigation strategy for each. For those of you familiar with engineering design processes, this was basically the raw material necessary for Preliminary Design Review. All six teams submitted their SDRs on-time, and so they now advance to the next phases of the process--and the first one that carries a significant monetary impact (each team has already earned US$10,000, but can now earn orders of magnitude more). The ILDD program description calls out several different contract line items, each of which teams can submit proposals for in sequence. Up to three teams can be awarded contracts for each such contract line item; and teams don't need to have won any given contract line item in order to submit proposals or be selected for subsequent contract line items. The first contract line item was for "Critical Component Demonstrations," and carried as many as three contracts of US$500,000 as its reward. To earn that money, each team has to demonstrate how they will address one of those top ten risk ares identified in their initial SDR. Generally speaking, the teams will be taking an unproven component--e.g. one that carries a fair amount of risk of failure--and getting to a high degree of technical readiness, such that it could be considered ready for spaceflight. All six teams submitted their proposals for that contract line item last week, and NASA promptly began their evaluation. Sometime soon--I'd guess early January, but that's just a guess--they will announce between zero and three winners. It's important to recall two things here: first, NASA is selecting not necessarily the best mission or the best team, but the proposal that will provide NASA with the most valuable data at the minimum level of (business) risk. Second, any teams that don't get awarded contracts for this particular contract line item--and by definition, since NASA will select zero to three proposals from a group of six, there will be at least three that are not selected--are still in the running for future offerings. Again, there are about US$30,000,000 in this program, so this first contract line item is just a start--the teams that don't win this time around needn't be that upset, as they are certainly not out of the running..
teams are welcomed—indeed, encouraged—to seek government customers willing to purchase services and data at commercially reasonable rates. The new era of lunar exploration, Moon 2.0, thrives on being international and participatory, and derives much of its strength from the cooperation and collaboration between civil space agencies and private firms; Google Lunar X PRIZE teams that can identify and sign government customers are demonstrating their ability to be vital components of this new era. So for now, we wait a bit for some news. In the meantime, good luck to all of our competitors, and kudos again to NASA for taking this impressive step forward!